Ben David Jewelers is where to buy a Pandora bracelet in Danville, VA. Ben David Jewelers always stays well stocked in the Pandora brand, a brand their customers love. Right now, the jewelry cases are full of the new charms to brighten the winter season. There are so many knock-offs and counterfeits on the market that you have to be very careful where you buy a Pandora bracelet. Of course, you want to be confident that you will receive what you’ve paid for. Counterfeit Pandora bracelets will show wear and start falling apart quickly after you start wearing them. When you thought you saved a little bit of money on your favorite bracelet, you discover you’ve been taken. Be sure to purchase only through an authorized retailer to get the bracelet made of fine materials and exquisite craftsmanship that you expect with Pandora. Charms from Pandora this season will keep you looking fabulous in the reflective winter snow. 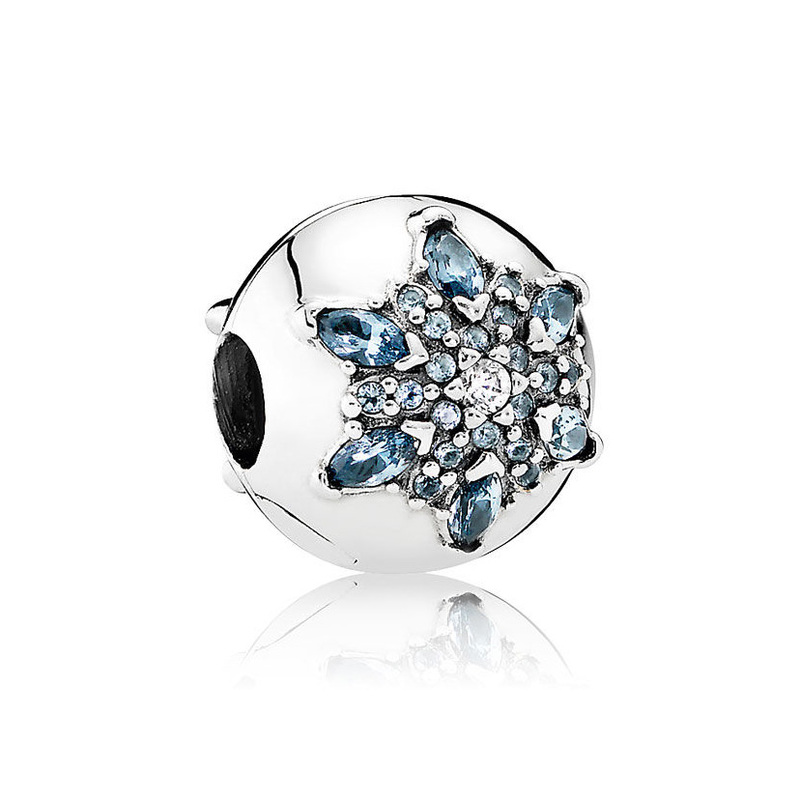 Icy blue and silver are popular this year and Pandora has lots to offer. The Crystallized Snowflake charm shows off both that icy blue color with blue crystals that are mixed with Cubic Zirconia for a big sparkle. 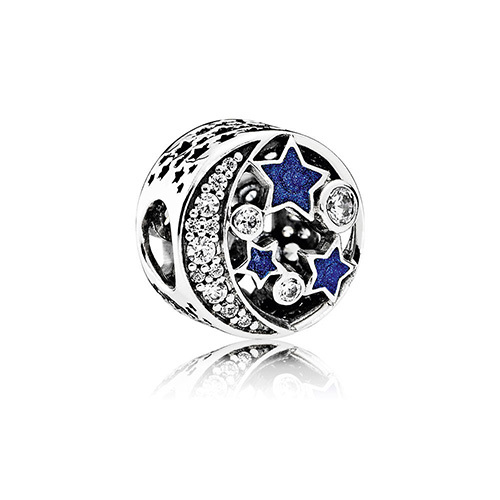 The charm is made with sterling silver. This charm is our featured photo at the top of the page. 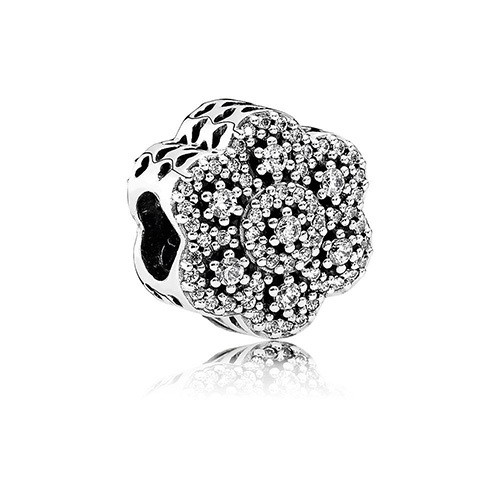 This charm will remind you of pretty, little snowflakes. The Crystallized Floral charm sparkles up your wrist with clear Cubic Zirconia and gives almost as much sparkle as genuine diamonds. It is made with sterling silver. Now you can carry the cosmos with you whether you’re inside or out. The Vintage Night Sky features Shimmering Midnight Blue enamel and Cubic Zirconia for that jazzy sparkle. Ben David Jewelers is where to buy a Pandora bracelet, right here in Danville, VA. We hope to see you soon.